Equipping you to equip your kids in the Gospel. Below are some books, apps, and video series that we have found to be helpful resources for parents as they seek to disciple their children and teach them about God and His Word. 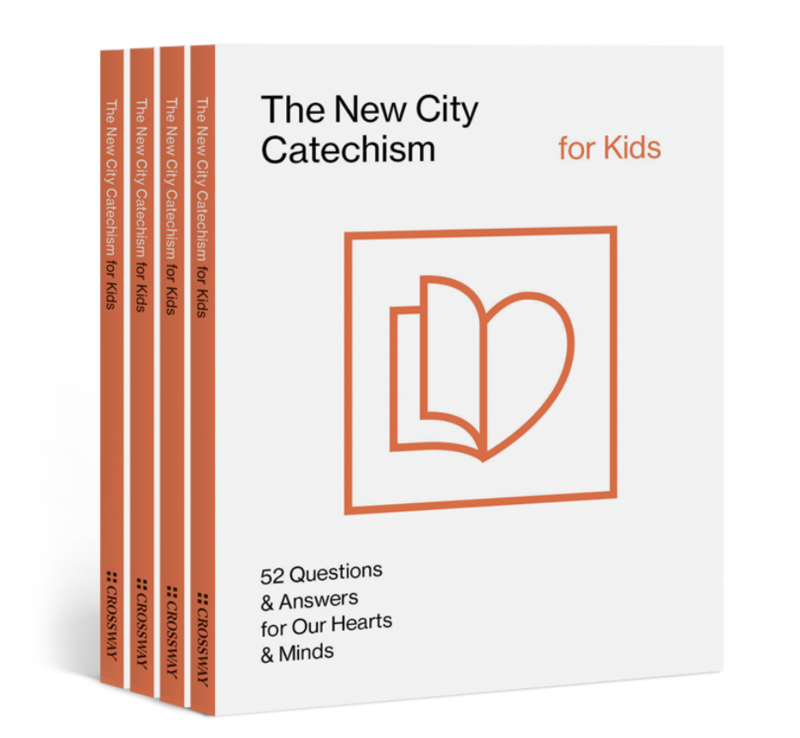 The New City Catechism for Kids is a modern-day resource aimed at teaching the core doctrines of the Christian faith to children ages 4–11. This 64-page booklet contains each of the 52 easy-to-understand questions and short answers—answers that are short enough for children to read, understand, and memorize. We have copies for sale in our bookstore or you can download the free mobile app for Apple or Android. The Jesus Storybook Bible invites children to discover for themselves the one who is at the center of God’s great rescue story — and at the center of their story, too. Because the Bible isn’t a book of rules. Or a book of heroes. The Bible is most of all a story. And at the center of that story is a baby. And every single story in the Bible whispers his name. We have copies for sale in our bookstore, or you can purchase off of Amazon here. Each Bible study session includes interviews with everyday parents talking about their own doubts, fears and desires. It Starts at Home is a video series available on Right Now Media. To get a RNM account through Bridge Point, click here.